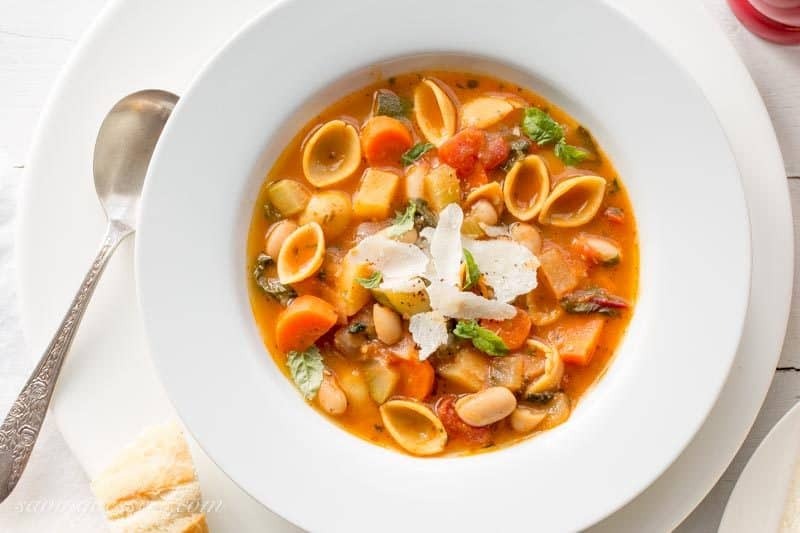 Winter Minestrone Soup ~ enjoy the rich, flavorful broth loaded with fresh seasonal vegetables, white beans and Chickapea Pasta! This soup is super easy to make, it’s filling, healthy, hearty and delicious. This post is sponsored by Chickapea Pasta but all opinions and text are my own. Thanks for supporting the brands that make Saving Room for Dessert possible. It doesn’t seem to be letting up and I’m not talking about snow. Here in Virginia we’ve having a reasonably mild winter overall, but that hasn’t calmed our craving for healthy soups with loads of flavor. This is a very exciting soup recipe for me to share today because we’re introducing a new, amazing, smart carb pasta that‘s now available in the US! What is a smart carb pasta? Chickapea Pasta is made with only 2 ingredients – organic chickpeas and lentils. It’s loaded with 27 grams of protein per serving, 8 grams of dietary fiber, and it’s also rich in nutrients, vitamins and minerals. These smart-carbs are lower on the glycemic index (GI) than rice or corn based products which is important if you want to avoid spikes in your blood sugar. Not only is Chickapea Pasta made from organic ingredients, it’s gluten free, non GMO, vegan, and kosher. With no preservatives, nothing artificial and no added sugar, that makes this pasta a stand out on the super market shelves! You can feel good about serving this pasta to your family without having to choose between quick or nutritious, it’s both. Now this is something to get excited about! We were very excited, but frankly a little skeptical, about what pasta made from chickpeas and lentils would taste like. It’s not an easy thing to take a favorite family ingredient like pasta and substitute something new and different. To say we were pleasantly surprised is an understatement. We love both the flavor and texture of Chickapea Pasta so we are thrilled it to add our pantry. These little pasta shells soaked up the rich flavor in the soup, they didn’t fall apart nor do they have a weird aftertaste. They are a bit chewier than “regular” pasta but that’s not a bad thing! This soup is a one pot wonder – meaning you’ll wonder why you don’t make it more often! For this recipe I borrowed two little tricks from chef Giada De Laurentis that add a ton of flavor and complexity. While the soup is simmering, add a Parmesan cheese rind to the broth. I also pureed half the cannellini beans with a little water before adding to the soup, transforming the broth to a thicker, satisfying slurp-able spoonful. Both brilliant, simple ways to set this soup apart from other broth based soups. I’m very excited to be a member of the Chickapea team! Don’t forget to follow me on Pinterest, Facebook and Instagram where I’ll be sharing more delicious, easy recipes from the talented members of the Chickapea team. Follow the link for more information about stocking your pantry with all the delicious varieties of Chickapea Pasta for you and your family. Enjoy the rich, flavorful broth loaded with fresh seasonal vegetables, white beans and Chickapea Pasta! This soup is super easy to make, it's filling, healthy, hearty and delicious. Substitute kale for the Swiss chard if desired. Fresh spinach leaves would also be great in this soup but don't add those until the end. Spinach wilts quickly and doesn't need much time to cook. Great post Tricia! Your soup looks wonderful. Love the chard in it – happens to be our favorite vegetable. We have been using Parmesan rind in our soups for years, a trick we learned from our Italian friends while vacationing in Italy – great tip! Love this soup! While we don’t really have winter weather here in Florida, I do enjoy soups. I used to make minestrone soup whenever my husband was away on business trips. I’d make the base soup and then one day add a little pasta, the next day add chicken, etc. each meal a little different from the next. Your bowl of soup looks good. Minestrone is a favorite at our house so I understand the trepidation when considering doing something different from the usual! I have not seen a chickpea pasta but I will take a look. It can never hurt to be adventurous and healthy! Gorgeous! The soup, the photos, the video, the recipe. 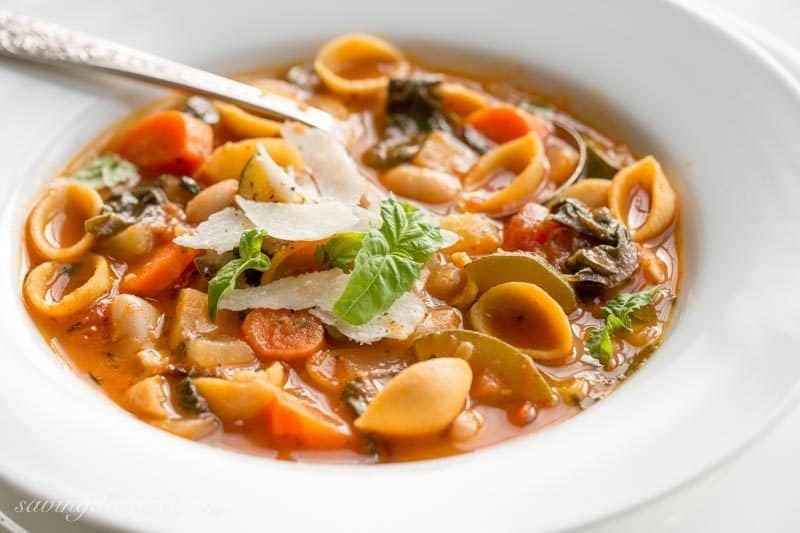 Minestrone is a favorite and your tips truly take this soup up numerous notches! How exciting that a gluten free pasta is also carb friendly. I will be looking for it! This is the kind of soup I could enjoy any time of year, Tricia! What a beautiful bowl of deliciousness. I hadn’t heard of chickpea pasta before and can’t wait to find some! Tricia, this soup looks incredible. My favorite winter meal for sure. I love that you use chard in it, and thanks for the tip about the parmesan rind. I’ve seen those at Whole Foods for sale and wondered what people do with them! Totally trying this with some Chickapea. Wonderful Michelle! I saw Parmesan rinds in the store for years before I knew what people did with them. You can also use them in a tomato sauce. Yummy stuff and so is Chickapea Pasta! i haven’t had a good minestrone since I’ve had to go gluten free 8 years ago! 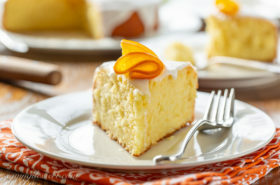 OMG .. MUST MAKE! So perfect and nourishing my friend! Yeah! I’m so glad you’re going to try this recipe – it’s so good. Chickapea pasta is amazing! Seriously? A reasonably mild WInter? I’m jealous. I’m in Vancouver and it’s snowing and raining and awful. I think you sent us your weather 😉 This soup is EXACTLY what I need right now. Nutritious. Warm. Inviting. And all kinds of YUM with that Chickapea Pasta in there. I too, was skeptical at first. But I’m converted (and I’m not even gluten-free)!! I’ll be making your minestrone soup this weekend, fo sho. It looks so good, dude. So good. I think all the snow is stuck in Canada 🙁 We sure would like a foot to two – so please share! I could make another pot of this yummy soup and be a happy claim in my sweat pants and fleece jackets. Thanks for stopping by Kristy! I’m excited to see this, Tricia, because I had just heard about chickpea pasta on The Kitchen and the hosts liked it so I’ve been on lookout for it. So far, I can’t find it in my local markets. I’m so glad to hear your testimonial…definitely worth trying. And soup always for the win! Can’t go wrong. How cool Monica! Chickapea just recently hit the market in the US. So happy to have a great choice that’s healthy and delicious! I love the Chickpea pasta in your delicious looking minestrone. Soup is always good. Thanks Gerlinde – Chickapea Pasta is wonderful in this soup – and I can’t wait to try it in other recipes. Soup is one of my favorite meals! Hi Tricia, what a lovely soup, I love the idea of this pasta; will have to give it a try, I just picked up a red lentil pasta from Trader Joes that I am anxious to try. Your video was fantastic from start to finish and the music was perfect. Take care! Thank you so much Cheri – I love your sweet comment! The soup is terrific – hope you give it a try and the Chickapea Pasta is delicious! I haven’t seen it on the shelves yet – but hopefully soon! This is one of the prettiest bowls of soup I’ve ever seen, and I love how hearty and wholesome it looks! 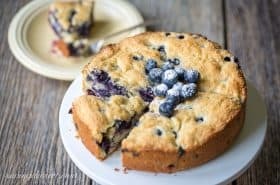 This is perfect for the rain that’s coming our way tomorrow — I need to whip up a batch of this today! This soup is great even after several days. I can’t wait to make another pot. Enjoy and thanks! Great soup for winter, even if it’s way above normal in temps for here now. Interesting with Giada and the Parmesan rind. I read somewhere yesterday, a recipe of saving the rinds and making a soup stock of them in water and seasonings and freezing it until ready to make soup. And I mash some beans with a wooden spoon on the inside of the pot, instead of pureeing, same difference. Your mix of veggies in this is great, it sounds like a delicious minestrone, Tricia! 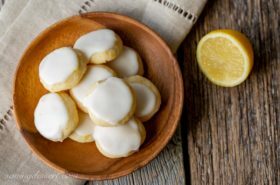 Thank you Pam – I love those little tricks that make recipes that much better. Enjoy the warm weather! Absolutely beautiful! I want a bowl full right now! Thanks Jenny – me too! Cold weather certainly makes me crave soup, but I think it’s the winter light — or lack of it — that makes me want it even more. We’ve been having a reasonably mild winter, too, but we’re still having soup several times a week! Anyway, this looks terrific — such nice flavor. Thanks! I agree John – soup is an amazing way to eat your veggies too 🙂 Have a great week! This soup looks so good! I love that you’ve used Chickapea Pasta. It’s my favorite pasta! I adore Minestrone and it’s so perfect for transitioning from season to season. I always love to use whats local and in season and this is perfect for that. What a genius idea to add the Chickapea Pasta with the nuttiness of the Chickapea pasta melding with the broth. Great idea and going to make it this weekend for dinner! I know you’re going to love this richly flavored soup. So hearty and delicious and the Chickapea Pasta soaked up all the amazing flavor. Thank you! 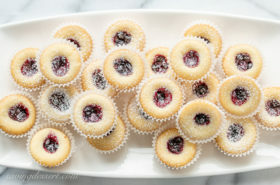 Thank you Robyn – we can’t wait to try more recipes from the Chickapea blog – they all look fantastic including yours! 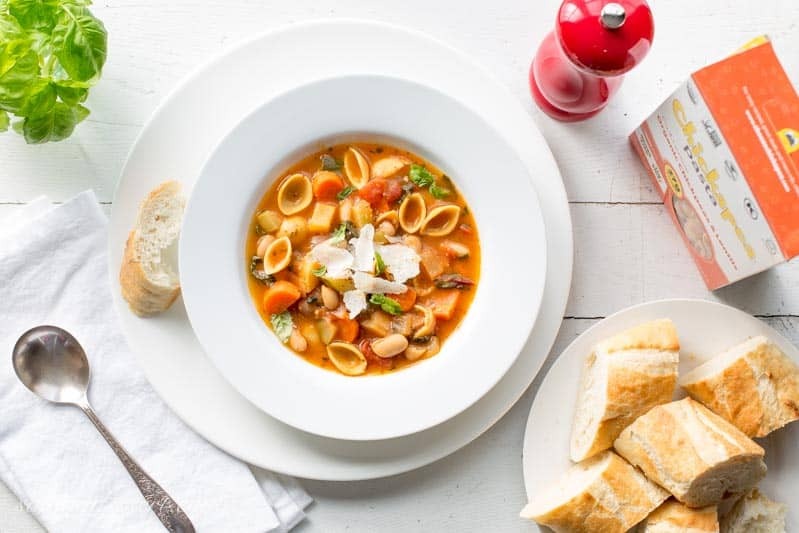 I love one pot soups like this – minestrone is definitely one of my favourites and I love Chickapea pasta so this is definitely a match made in heaven! Thank you Taylor. We are in love with this pasta too – can’t wait to make this again. I love that you used chickpea pasta here…the soup looks wonderfully delicious and warming! Thanks Angie – it is so delicious! 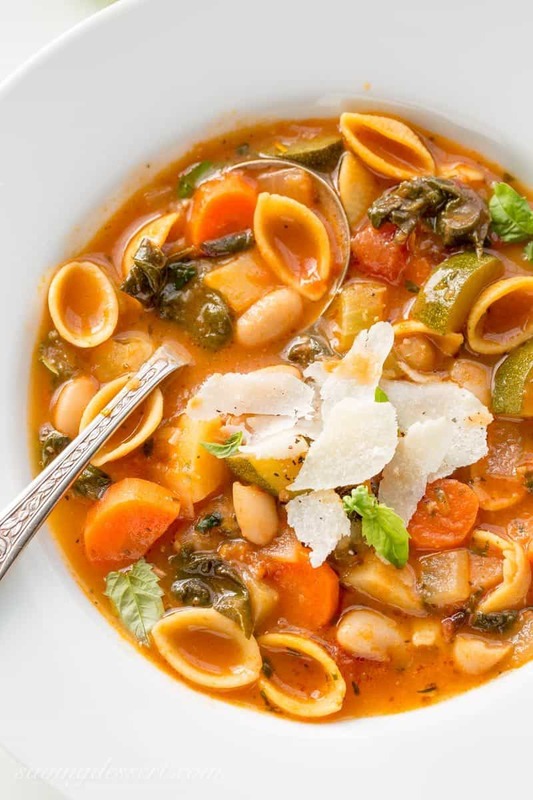 I’ve never made Minestrone but this post makes me want to – looks and sounds delicious. Were I to see a box of chickpea pasta on the shelf, I would never have picked it up but now I might just have to give it a try. Thanks Larry! 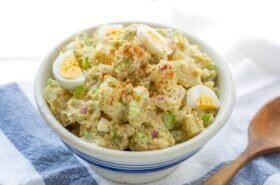 I hope you will try it – we were so pleasantly surprised at the great texture and taste. And healthy too! I love everything about this post, the recipe, the video, and the cool pasta! My daughter is gluten intolerant, and I’m so excited to see a new option for her, we’re a pasta lovin’ family! Lovely soup! So exciting Tricia, that this is now available in the States. I will definitely be looking for it. Your soup looks amazing. I’m with you, I can’t get enough soup and I love recipes that make enough to provide lots of leftovers! Thanks Chris – there is nothing like a hot bowl of soup on a dreary winter day. Leftovers are just as good – and maybe even better! Have a terrific week and thanks!